Landing a job overseas may not be as difficult as many people think. 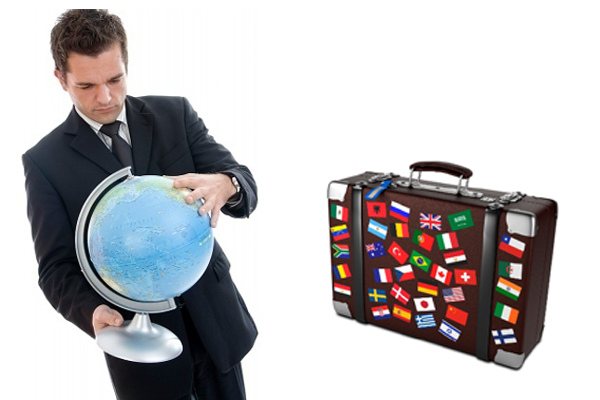 If you are determined to establish your career in a foreign country, you will surely find ways to realize your dream. Working abroad has many benefits like you get to know new culture and new ways of living, meet new people, look at things from global perspectives etc. Whether your aims are long-term or short-term, you need to have clear strategies for your action. You might have already researched about “ways to land a job overseas” on the internet. You might also have talked with few friends and relatives who are happy with their lives overseas. Good! You do surely need concrete and useful information before making this big decision. But before all these, rewind your thoughts and pause for some minutes. Do you really think you will feel comfortable leaving your own nation, family, friends and living life elsewhere? Are you 100% determined about working outside your country? Will you be able to adjust to an altogether different world? If the answers to all these questions are “yes”, you may definitely choose to read some important tips which will help you in taking the big leap in your life. Be disciplined and organized: This may seem to be a common piece of advice, but it does really matter. When you are researching jobs, companies, countries etc. you have to note down a lot of things. So maintain a diary, not just depend on your laptop or tablet. 2. Networking with anyone and everyone who you think may be useful in giving you some information. Your network should not be limited to family, neighbour, friends, alumni, colleagues, former managers or supervisors and members of professional organization. 6. You can also mail to certain selected companies and use company career centres to look for vacancies. Stop worrying about job opportunities at home: When looking for a career outside your country, you may get to know about lucrative offers from your native companies. Be truly focused. Don’t panic yourself as you cannot step on two boats at a time. Find jobs relevant to your qualifications, interests and experience: This is especially true for candidates who are new job-seekers. They dream big and their dreams are tales of travel, food, cultures and adventures. A job overseas means lots of money with which they can afford all these things. If you are one of them, you need to practically sort out the best jobs that suit your requirements. How can you do this? You need to go through your certificates and achievements, develop a profile of the types of job responsibilities that you are willing to perform and will cater to your interests. Remember, it will not be easy for you to juggle between jobs, feel dissatisfied and come back to your country to earn a living here. Learn language and acquire some key job skill sets: Prepare yourself for learning some new language or skill sets. Even if you know the language of the foreign country that you are going to stay in the future, it is better to brush up your skills. Language proficiency is extremely important in the job market. For example, you might need to conduct business meetings in the foreign language. If you are a student, you may consider your college or university for the coursework you are interested in. You may go for distance-education programs. The same applies for acquiring key job skills. Just do it and move: This is a daring act and depends on the person you are, your available financial resources, stage of your career and the country you choose to go. If you want to take risks, have accumulated decent amount of money and completed almost 1/3 rd of your career, you can like this strategy. Pick up your country, look for the regions that offer good job opportunities, make contacts with friends or anyone residing there, pack your bags and leave for the place. This is how it works. Examples are not few of people finding jobs in this way. Even if you don’t find jobs, you will cherish the adventurous journey. The “just go” approach can be used for aid work also. Whatever may be the purpose, chances of you being selected increases if you are already available in the country, than you are elsewhere. According to many career coaches, you must avoid going to developing nations until you are guided and protected by any company. Preparing for interviews: Armed with your language skills, you must take steps to be interviewed in different non-personal mediums like through emails, video conferencing or telephones. You may contact job interview tutorials and Google various aspects of a successful interviews. Go through numerous interview questions and answers, learn non-personal interview etiquettes and presentation skills- simply put, don’t leave any chance to impress the interviewer. Make efforts to follow-up: Don’t want any potential opportunity slip through your hands? Follow up- make phone calls, send e-mails, recall and resend. Be patient and sound polite while talking over the phone or mailing. Even if you don’t get the job, you must send ‘thank-you’ notes to all the employers. Moving abroad for job isn’t something you will like to do time and again. You need to have enough bank balance so as to make your living for the first four to six months after reaching the new country. So consider all your financial resources even before starting the job-hunt process.